Bobby Lee, best known from his numerous years as a cast member on MADtv, was a regular guest on E!’s Chelsea Lately and starred on NBC’s Animal Practice. Bobby quickly won over the audience in his role on MADtv, the long-running sketch comedy show, which in total aired for 14 seasons on Fox. He became known for his unique brand of pain-inducing, physical humor. Audiences have loved his takes on such real-world figures as Connie Chung and North Korean President Kim Jong Il, and a memorable take on presidential hopeful John McCain. 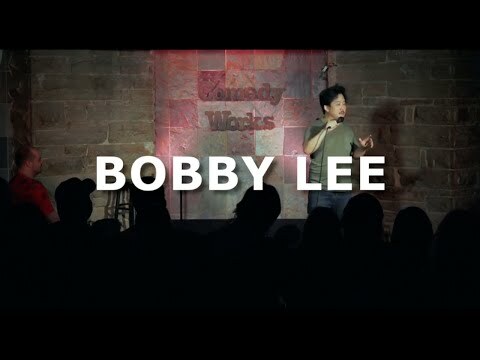 More recently, Bobby has been touring the country year-round with his hilariously unpredictable stand-up. His film credits include The Dictator, Pineapple Express, and Harold & Kumar Go to White Castle. Lee has made guest appearances on television shows like, Curb Your Enthusiasm, The League, NCIS: Los Angeles, and Mind of Mencia. He has also performed stand-up on Late Friday, Premium Blend, and The Tonight Show. Currently, Lee can be seen as a recurring guest on the new Netflix Original, Love, and voices Tim/Sumo in the Hulu original series The Awesomes.